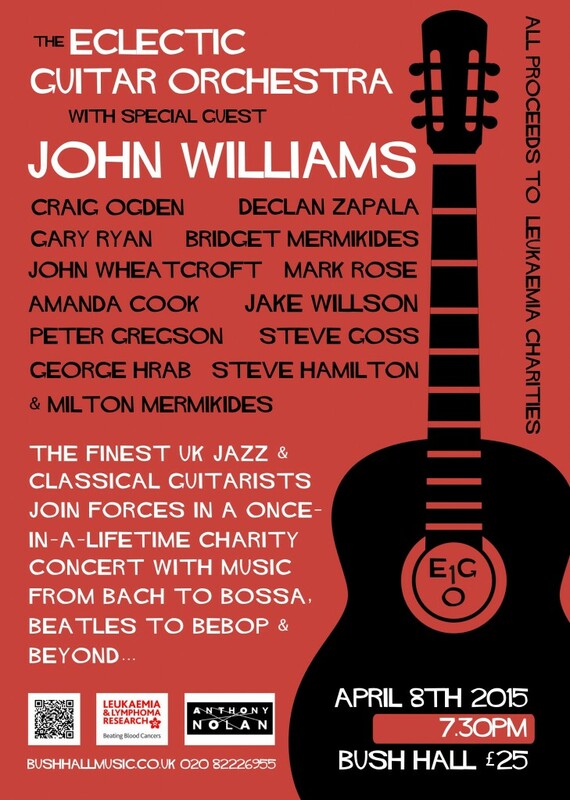 Following the successful (emotional, fun, wonderful) EGO concert at Bush Hall – a charity concert (raising close to £4000) with some of the finest musicians and friends one could hope to know – here’s another good reason to donate some more to the worthy charities. The Eclectic Guitar Orchestra’s Towards the Sunlight is a collection of donated tracks from the players and all proceeds will go to Leukaemia Research and the Anthony Nolan Trust. Enjoy. 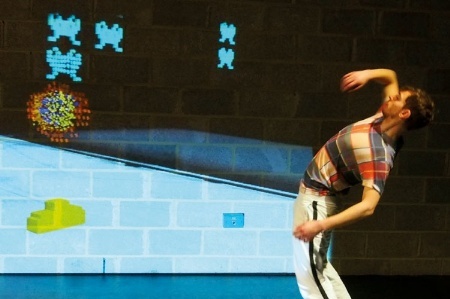 A Chimera Network project Bloodlines is a performance that traces the microscopic drama that plays out between a serious disease and medical treatment in the human body. It draws on its makers’ personal experience of Acute Lymphoblastic Leukaemia (which I developed in 2004) and its treatment through intensive chemotherapy, radiotherapy and a bone marrow transplant (donated by his sister Alex Mermikides, who is directing the performance). Also collaborating in the performance is Ann Van de Velde, a clinical haematologist involved in the care and treatment of blood disorders such as Leukaemia, and Anna Tanczos, a digital artist specialising in science communication. Bloodlines was presented at the 2013 European Bone Marrow Transplant Conference and will premiere at the Dana Centre on 18 July 2013. I’ve reached 5 years post diagnosis. Thank Science for evidence-based medicine. Now, I always write these updates utterly convinced that they are lost in the nether regions of interspace, roadkill on the information superhighway if you will. However I still get messages from friends old and new saying “well I saw your update… ” So I feel both flattered and duty-bound to continue. Very soon I will move this blog to a more user friendly communicative one, with comments and rss and so forth, my dilly-dallying is due to technical dilemmas rather than loss of heart. Please bear with me, and offer any ideas you may have. Health is probably the best it’s been since the whole little leukaemia thing. My hospital visits are down to one EVERY SIX MONTHS and I am off all medication. I do weights every other day and have a textbook diet- just buying myself more time people. Career is surreal and interesting, judged an air guitar competition for the disney channel, have corporate sponsorship to do a series of concerts across the USA- that seems good, no? Still as grateful as ever to be around and trying to make the most of my little life. There is so much to tell and share but that will have to wait to the big bloggular migration. Please bear with me and join me in that promised land of communication and joy. Well, I have been busy with all sorts of welcome stuff (finishing off my PhD, producing CDs, composing, playing concerts and so on) and perhaps most enjoyably, completing long-overdue home improvement projects. The garden is approaching haven status and we are enjoying a little more space (for London, space and light are highly sought mythical artefacts) A fair bit of wedge has been consumed so am looking to get busier when September hits. This new focus on home improvement has led to clear forms of middle age behaviour including proudly reciting the latin names for plants, covetously browsing bathroom furniture catalogues and saying “ooh.. Now that’s nice”. Recently I looked down and noticed I was wearing sandals ANDS socks. It’s all over. Health-wise it’s been a bag of mixed nuts, in general I feel better than ever, I have been eating really well, doing weights and getting stronger all the time. However I still get tired, and when I experience a certain amount of activity and stress (i.e. normal life) I am prone to a plague of shingles. (Actually their identity is not yet confirmed, see below) This is understandably a hard concept for my colleagues and friends to grasp, one moment I look perfectly healthy the next I am confined to an isolated hospital ward on a drip. I think I have had 3-4 extended stays at hospital this past 12 months, hopefully next year will be better. So after an active weekend (Lovely composer course & concert) I found the usual lesions- one with a particularly juicy sample of fluid (Stop eating now) The docs are very keen to identify my infection and have instructed me to rush over with any potential evidence for analysis. So I spent the day being blood tested and having my foot gouged in a skin biopsy. Those who have finished breakfast and are not at all squeamish, click here: Extreme Footsie Otherwise avoid.Hopefully we will learn more and avoid subsequent hospitalizations which would be nice. On the way to the clinic today, we were rear-ended by a green van (His fault entirely) Scratched up the car a bit (the van was far worse), we were shaken but unscathed. You can be driving along minding your own business, and through no fault of your own something hits you hard-just like leukeamia. However you can’t spend all your life peering into the rear-view mirror in fear of things beyond your control, there are far finer views to be enjoyed. Yes it’s my 3 year Bone Marrow Transplant anniversary . I’ve been celebrating in the traditional fashion with a nasty infection, sleepless nights of retching, producing enough phlegm to float a battleship and reacting so badly to my meds that I looked liked I could happily walk between the sets of Dawn of the Dead, The Exorcist and Songs of Praise. But I am feeling a little better (largely thanks to Bridget, Monkey and My Mum-which sounds like a 60’s band) and have spied the proverbial light at the end of the T. So I made it 3 years whoopy-doo, hurray for science and thank Thor I did- just imagine not having read this today. What adventures await over the next 3 years only Zeus knows! Still in hospital, 7 days of 3 2-hour drips, 5 cannulars and 4 collapsed veins, 21 vials of blood removed, 7 all day breakfasts and 7 roast chicken suppers later and I’m still here. I have discovered that the pain killer Tramadol gives me an overwhelming dizzying sensation whenever I hear a B-flat above concert A. Completely accurate, repeatable and blind testable. This has fascinated my consultant who has been chatting to a neuroscientist about analyzing me for the sake of psychological understanding. It was only a matter of time. Whispers of leaving tomorrow, we shall see. Feel pretty fatigued, particularly if I have felt well enough to have some visitors but then I sort of collapse. I predict I will be back to my normal level of activity in a couple of weeks or so- but who knows. This time I’m going to take it really easy, doing the sort of pottering work that I enjoy, (writing my new book, getting on with my PhD, writing some music, finishing the hyperbow project and doing some house stuff- but all VERY slowly with no stress or rush) It’s all okay if a bit frustrating, the 6 pack will have to wait a little longer! Sometimes feel so tired I can hardly go on but(Edit) Oh screw it, I might as well live a bit longer, got nothing better planned. Yes I’m back in hospital. It’s those damn shingles again. I can’t seem to get enough of them. That’s why I am now calling them Pringles. Thanks to those who have sent well wishes, much appreciated. Keep sacrificing those goats (A joke in reference to the philosopher Dan Dennett) Bridget and the staff here are rather splendid as is my suite/ward at the Hammersmith Hotel/Hospital. I was in quite a lot of pain today, so they’ve given me an antiviral ‘iv’ for the infection and 2 little Matrix style pills (whose name I must remember) They are some kind of painkiller, and suddenly I get why Elvis wore those clothes in his later career. They are lovely. Everything is lit like a Barbara Cartland Novel, and just so…interesting. Not sure how I’m going to come off these. Damn my abstinent principles. But I’m sick, this damn herpes zoster is a virilent bugger and wants to take over my entire being. I don’t care much for the ant-viral medication, but my enemy’s enemy is my friend. Best wishes to all. This sort of an infection can be really serious but I feel real tough about such things these days and I’m so conditioned to be a patient, that I’m close to jabbing the needles in myself, programming the machines and then going off to check how all the other patients are doing. I might even buy a stethoscope and grow thicker eyebrows . So if you think I haven’t suffered enough recently, you will be relieved to hear that an entire tooth has fallen out. Turns out my lower right molar wasn’t a big fan of radiotherapy and hospital visits and made a bid for freedom by decaying it’s roots. Lovely. So during my last hospital stay it fell out of my face in an impressive manner. I say a letter as clearly as I can and she says a different and seemingly random one back. Sometimes they are not exactly letters but randomized vowel and consonant sounds. I try to work out the relationship between my letter and hers, but without Alan Turing and a series of computers, I can’t crack it. I say “no” and return to 1) until after a few tries we come to some sort of vague compromise and move on to the next letter. This game of verbal ping-pong continues for a few months untill I feel we might have reached the end of my name. I am not exaggerating, please go there and see for yourself. Anyway it will take ages to fix my tooth so I will be leaning to the left eating-wise for the next few weeks. Talk to you later, actually! Okay I have been sent home after a bizarrely comprehensive series of tests: every reflex point you can imagine and a few you can’t. They were concerned that the infection hadn’t spread to any organs (which can cause no end of trouble) or to my central nervous system (which can cause even less end of trouble). Having convinced the docs that I was physically responsive and all confusion was naturally occurring, my cannula rwas emoved, and I was discharged with 3 weeks of oral medication and a truckload of lethargy. I am feeling a bit better, but really fatigued. I’m spending the next couple of weeks catching up on admin, tidying the house at a barely discernible tempo, working on a couple of magazine articles, tinkering at some PhD stuff and practising the guitar part to the Fame musical (which I’ll be depping for Tom Emerton) If for a moment you think this is at all impressive and are tempted to encourage me to slow down, think again: my day is so padded out with immobile staring into space, that I am considering a second job as a Madame Tussaud exhibit. I will hopefully get to see my nephew soon and bring him some gifts – is Proust, Stravinsky and a deep-bodied Chablis appropriate? Well I doubt that anyone is reading these sporadic updates, but I’ll write this for my own edification, and if you are here to witness it, then you are most welcome. No not a relapse thankfully, but a nasty attack of shingles that didnt respond to oral medication and continued to spread. My consultant Dr. Eduardo Olavarria is one of the most respected haemotology experts in the country, and usually the most positive voice in the room, but he insisted I came into a ward in Dacie for IV treatment. So I’ve been here 4 days already receiving 2 hour IV tranfusions (700mg aciclovir) 3 times a day through a cannula. At this point I have to say that the care I am receiving at Hammersmith Hospital is of the HIGHEST level. A really clean and fully equipped room, friendly and skilled nurses available seconds after the buzzer. This is the best money can get, and for no money. Long may the NHS thrive, in my opinion a high point of civilization. All the more reason why we should protect it’s resources – let’s hope the July 1 public smoking ban encourages more people to quit- and here’s to the (idealistic) wish that humans begin to moderate their drinking- (Intoxication claims the huge majority of ambulance & emergency resources) Let’s start looking after ourselves when we have a choice in the matter so we can be better cared for when we don’t. Life is so short: we needn’t hurry it along. The doctors were good enough to allow me out these past 3 days in order to play the guitar in the orchestra for a run of performances of the faaaabulous ‘City of Angels’ . My fellow musicians were surprised to see me with my hospital tags and a cannula on my strumming hand between IV drips. It was pretty tiring but I had a great time. So I write this from my ward with a touch of reminiscence and reflection. Here I am again, plucked from the hamster wheel of life, just to be: enveloped in this medical womb. You can feels pretty sick in these places, but at the same time it feels somewhat wonderful to experience the most caring side of our fellow people have to offer.